For more than 200 years, Remington has been one of the most trusted names in the shooting world. With a rich history and longline of legendary firearms, Remington is known for both tradition and innovation. 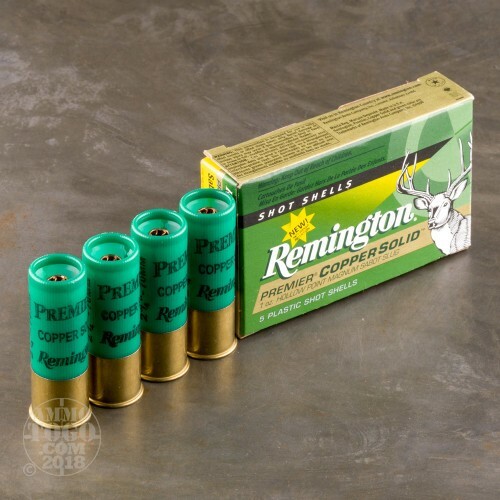 Remington Premier ammunition is held to strict manufacturing tolerances. The result is a round any shooter would be willing to use to take that shot of a lifetime. This package contains 5 rounds of Remington Premier 12 gauge ammunition. 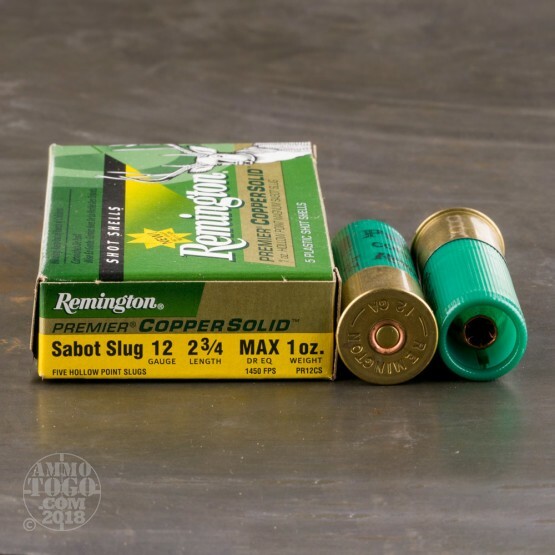 Each 2 ¾ inch shotgun shell is loaded with a 1 ounce solid copper slug. 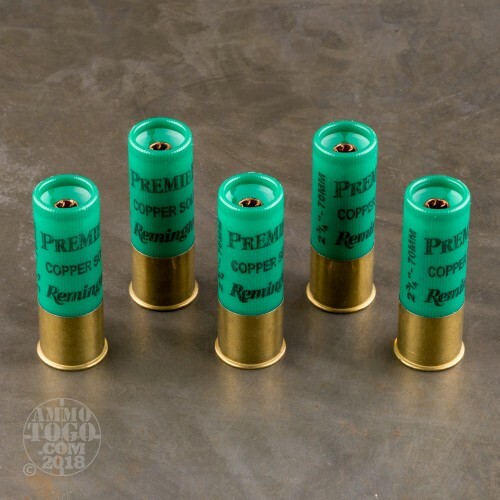 These unique loads pair the angled petal score design of a solid muzzleloader bullet with the ballistic coefficient of a deep penetrating slug round. The result is jaw-dropping performance that outshines most other deer hunting slugs - 100% weight retention, controlled double-width expansion, and amazing pinpoint accuracy. 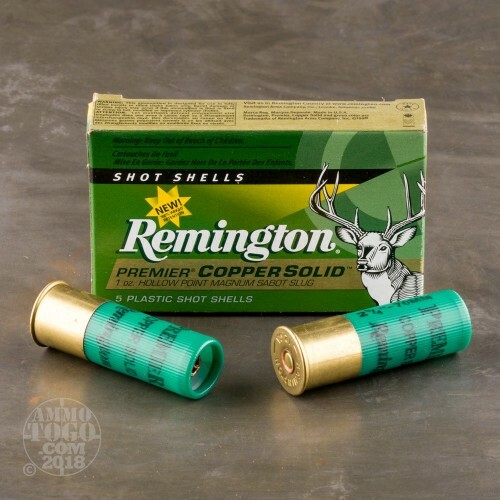 These new production shotshells produce muzzle velocities up to 1450 feet per second with 2040 foot pounds of deer-stopping energy. These loads are designed for use with fully-rifled barrels.